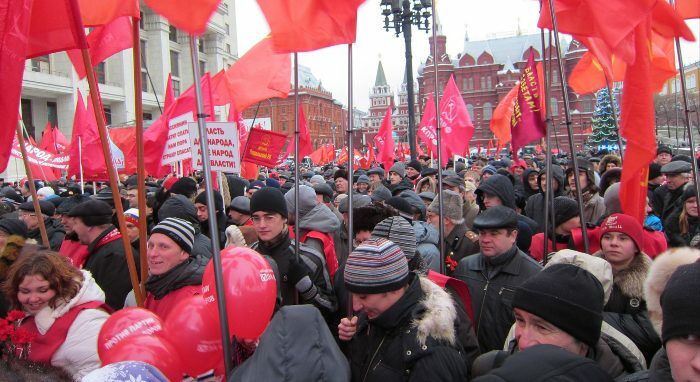 The Communist Party in Russia has reportedly dealt the ruling United Russia party a serious blow in one of the regions of the Russian Federation by winning recent local elections in two districts and strengthening its presence in several others. The showing by the Communists is regarded by experts in Russia as a warning to the government in Moscow that the Communists are gaining strength and there may be additional Communist victories in future elections. The Communist victories were reported in the Russian online version of RIA Novosti, one of Russia's leading news agencies. The two districts where the Communist scored victories, Yakovlevsky and Partizank, are both in the Maritime Territory (Primorsky) in the Russian Far East. Although both districts are relatively small, the Communist victories were cause for concern in Moscow some four thousand miles away. The fear among some political experts is that the results from these two districts may indicate an electoral trend favorable to the Communists. The Communists are reportedly riding a "wave of dissatisfaction" with United Russia, the present ruling party, according to one expert interviewed by RIA Novosti. The election results show a high degree of distrust of local authorities, said Victor Burlakov, who was identified as the head of a university journalism department. "The victory of the Communist Party" is a warning for United Russia that in the next election "more regions will vote against he government," said Bespalov. A remarkable change has occurred in Russia. The Communist Party, once feared and reviled, is now considered an alternative to the ruling party in Moscow. Several months ago experts were also predicting that the Communists might become the rallying point for a center-left party. Corruption and broken promises are usually the reasons given for the current troubles for United Russia. The question is: How real is any of this? Putin has always ruled through the use of rigged elections and a shackled media, and it is no surprise that the Russian population would become tired of the charade. The rise of the Communists, however, gives evidence of an especially polluted environment that breeds desperation and a dulled memory of past horrors. True, the Communists have been working to improve their death-camp image, but the stage has been artificially set for a Communist comeback. The desire for personal freedom was beaten out of the Russian people during the period of so-called "Wild West Capitalism" in Russia during the 1990s when murder was as much a part of the economic scene as stocks and bonds. As billions were made by well-connected "entrepreneurs," the Soviet-era economic safety net upon which ordinary Russians had depended was abolished, but no real alternative was put in its place. For most Russians, desperation took the place of hope, and the desire for personal freedom became little more than a cruel illusion. When Putin came into power in 1999, the way lay open for the acceptance of statist solutions for Russia's problems. The Kremlin elite still talked about market capitalism as it encouraged foreign investment and the sharing of important Western scientific and technical information. Along the way Putin also oversaw a cultivation in Russian society of nostalgia for the defunct Soviet Union. Under these circumstances, a Communist revival is not surprising. Putin has had no trouble dealing with the Communists in other countries, especially the Communist elite in China, which is Russia's closest ally. There is no real reason why Putin should have difficulty with Communists at home. Even Josef Stalin, the Soviet dictator and mass murder, came in for a coat of whitewash. 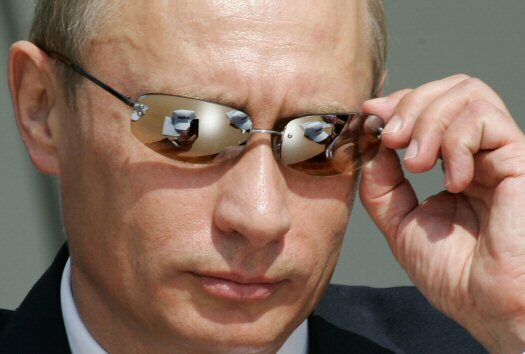 Putin, the "ex"-KGB spymaster, also has no apologies for Soviet-era espionage, and considers himself to be a "Chekist," an heir to the Cheka, the bloody secret police established by Lenin to destroy any domestic opposition to the Bolshevik revolution. 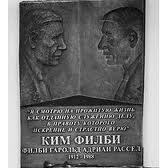 Under Putin, former Soviet spies received medals, often posthumously, for their Cold War service, including the British traitor and Soviet spy, Kim Philby, to whom the Kremlin dedicated a plaque. Incidentally, the memorial to Philby is on the outside wall of the headquarters of Russia's foreign intelligence service, the SVR, the successor to the foreign espionage activities of the KGB. It is easy to see the pattern that is coming out of the Kremlin. First the concepts of capitalism and personal freedom are discredited as fraudulent or impossible, then Putin's soft dictatorial statism seems to save the day, and, eventually, the Communists return as the party of true reform. There is even an historical precedent to this scenario. In the early 1920s Lenin realized that his Communist revolution would fail without capitalist investment. He boldly declared that he was rejecting Communism with his New Economic Policy (NEP) and just as boldly sought money from the capitalist nations he had been attempting to subvert. At the same time he strengthened the already deadly secret police to keep the general public from taking too seriously the supposed rejection of Communism. Lenin's actions were monumentally cynical. He used capitalist money to stabilize the faltering Soviet state, and at the same time he unleashed the secret police against anyone who could be seen as challenging Communist dominance. Eventually, all those who took part in the NEP as small-time capitalists either voluntarily ended their ventures or were killed or were imprisoned. Nearly a century has passed since Lenin launched his manipulative and insidious New Economic Policy, but if he did return to Russia and see the social and political events now unfolding, there is every reason to believe that he would fully understand and approve what is occurring in Russia today. The bottom line is this: the Chekists are the "Sword and Shield" of the Communist Party. It was that way from the beginning of the Bolshevik revolution. The Chekists are now on the verge of completing a task which was started when the Soviet Union collapsed: the reestablishment of the Communist Party as the overt ruling party, and the revival of the Soviet Union in some new form. NOTE: Spying at Cold War levels, Russian submarines again prowling off America's shores, Communist China threatening its neighbors, Moscow and Beijing now "strategic allies": do you see a pattern? Get the information the liberal media does not provide. Read our new publication, Cold War II Journal, go to www.inatoday.com.